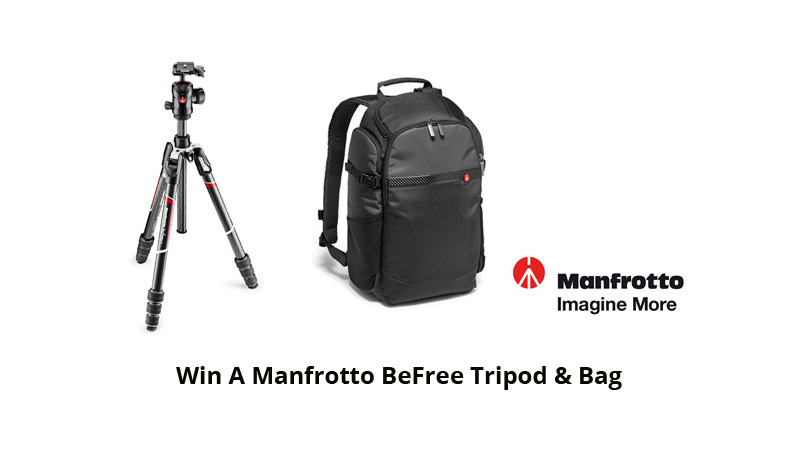 Last Chance To Win A Manfrotto BeFree Tripod & Bag In August's Competition! This month you can win a Manfrotto tripod and bag in the August 'Holiday' competition! It's August, and this month you have the chance to win a Manfrotto BeFree tripod and bag in the 'Holiday' photo competition! The Befree carbon fibre tripod kit is a professional travel tripod offering superior performance with maximum lightness. The Advanced Befree camera backpack can be used for a wide range of kit from DSLR to mirrorless to drone, and can also hold a 15-inch laptop. The Befree tripod can be stored in an expandable side pocket. To be in with a chance of winning this fantastic prize, we want to see your best 'Holiday' themed photos. Whether you're hitting the beach, going camping or cruising off into the sunset, show us your very best images taken on holiday. Colour, black and white, portrait, landscape - anything goes! For more information and to enter, visit the competition page before midnight on 31 August.